Innovative new frozen foods, including items such as organic baby food and freezer-to-oven brownies, are fostering growth of sustainable packaging and structures that deliver cook-in-pack convenience, portion control and other functional benefits. The outside is a typical folding carton, but inside the Nummy Nums box is a six-cell plastic tray, resembling an ice cube tray, with each cell contains one portion of pureed baby food. Frozen baby food, a recent entrant, is proving to be a category geared toward packaging creativity. Nummy Nums Inc. (www.nummynums.com), Monrovia, Calif., which sells six flavors of all-natural, gourmet, fresh-frozen baby food, is a case in point. The company fills its products into six-cell plastic trays. Each cell contains one portion of pureed baby food, about two ounces. The filled tray is packed in a bag, which is inserted into a folding carton. The tray “looks like an egg tray, but instead of being divided into 12, it’s divided into six,” explains Arlene Yanover, Nummy Nums’ founder and president. Prime Paper Packaging Supplies (www.primepaper.net), Irvine, Calif., provides the trays, which are pressure-formed using 25-mil, white high-impact polystyrene. New York, adds value to its products with recloseable packaging. The baby food is filled into polypropylene cups and sealed with foil; each cup includes a plastic cover so leftovers can be stored easily and transported securely. The four-ounce cups are packed two per carton. The packaging challenge for Los Angeles-based Mary Beth’s Apple Pie Co. (www.marybethsapplepie.com) included both functionality and brand image. The package needed to protect the heavy frozen pies while presenting a gift-like appearance and harmonizing with the company’s old-time image. The Mary Beth’s pie carton is hexagonal with a fanned top formed by folding leaves of paperboard into a three-dimensional shape. The bottom panel is designed with an intricate fold-and-tuck design that provides the strength needed to hold the hand-made, 4.5-lb. pies. Corrugated board, though protective, was not appropriate for the package because of the gift aspect. And a plastic package would have clashed with the company’s old-fashioned image. That left paperboard — teamed with a clever carton design, it’s both visually appealing and strong enough to protect the product. The Mary Beth’s pie carton is hexagonal and sports a dramatic fanned-out top formed by folding leaves of paperboard into a three-dimensional shape. But the bottom panel of the carton holds the package’s true innovation. The bottom is designed with an intricate fold-and-tuck design that provides the strength needed to hold the hand-made pies, which weigh 4.5 pounds each. Display Pack (www.displaypack.com), Grand Rapids, Mich., designed the unusual package. The cartons, which ship flat to Mary Beth’s, include markings that explain how to set them up. To come up with the package for Duncan Hines Oven Ready! Homestyle Brownies, Pinnacle Foods Group LLC (www.pinnaclefoodscorp.com), Mountain Lakes, N.J., leveraged its experience with savory frozen foods. Pinnacle’s product portfolio includes Hungry-Man frozen dinners and Mrs. Paul’s and Van de Kamp’s frozen seafood. Oven Ready is reportedly the first ready-to-bake frozen brownie. The product, which was formulated to taste like brownies made from Duncan Hines dry mix, is filled into trays made of crystallized polyethylene terephthalate (CPET) and sealed with film lidding. To prepare the product, the consumer removes the lidding and places the tray in a 350° oven for 27-29 minutes. “The beauty for us as a company is that Duncan Hines is just one of our brands. We’re in the frozen food business. In effect, that’s what gave us the ability to do this,” says Jim Seiple, senior vice president, product development and technical services. “The CPET tray, carton and film seal is the packaging model for our Hungry-Man dinners. We actually make this product in a frozen-meals plant,” Seiple says, adding that the only difference between Oven Ready and Hungry-Man trays is that the brownie tray has no compartments. Oven Ready, Duncan Hines’ first foray out of the dry-mix aisle, has enjoyed solid success. “It brought new buyers to [the frozen sweet-goods] category and brought new buyers into our brand franchise,” says Lora Van Velsor, vice president of marketing for the Duncan Hines brand. McCain Foods (Canada) re-energized its Old South frozen juice concentrates in August with a 330-ml paper-based carton, the Tetra Top Carton Cup from Tetra Pak. It replaces the traditional spiral-wound composite cans. For familiar products as well, processors are turning to packaging to redefine the consumer’s experience. McCain Foods (Canada) (www.mccain.ca), Florenceville, New Brunswick, is re-energizing its Old South frozen juice concentrates with a 330-ml paper-based carton. The cartons, which replace spiral-wound composite cans, will launch in Canada in August. The new packaging format is the Tetra Top Carton Cup from Tetra Pak (www.tetrapak.com), Lund, Sweden. The body of the carton is made from a polyethylene/paperboard laminate, which is formed, filled and sealed on a Tetra Pak filler running 150 cartons per minute. The easy-open lid is created on the same equipment via in-line injection molding. 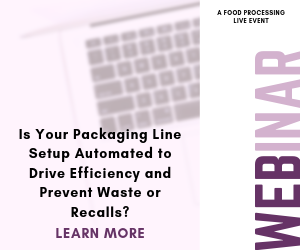 “The lid is very user-friendly, as all consumers need to do is to pull the tab and rotate clockwise and the lid is completely removed,” explains Calla Farn, director of corporate affairs and government and public relations at McCain Foods (Canada). Printed wrap-around cases packed with 24 cartons are designed to be displayed at retail. The cartons and cases are colorfully printed to stand out in the freezer case, and the carton’s square shape provides a better billboard than the curved surface of a can. Concurrent with the launch of the new package, McCain will introduce three new Old South 100 percent pure juice blends. The company also fills Cool Quenchers frozen juice beverages into 225-ml Tetra Top Carton Cups. Plum Organics makes a strong statement in on environmental responsibility with its Plum Organics Kids Meals, which just launched in August. The carton is made of GreenChoice 100, manufactured from 100 percent post-use recycled waste paper fibers and fully recyclable. Inside, the proprietary, two-compartment tray is made of biodegradeable, compostable, sugar cane-based material. McCain’s inclusion of recyclability on its list of objectives for Old South is emblematic of the broader interest in green packaging. Plum Organics is making a strong statement in that direction with the trays and cartons for its new line of frozen food, Plum Organics Kids Meals. The line, developed as a healthful alternative for children up to nine years old, launches this August in four flavors. Each 7-ounce meal includes a pasta-based entrée and a vegetable side dish filled into a proprietary, two-compartment tray. In addition to showing off the food to advantage, the separate compartments serve a psychological purpose. “Generally speaking, kids don’t like their foods to touch each other,” notes Gigi Lee Chang, founder of Plum Organics. Environmental responsibility, a corporate value at Plum, determined the materials used for packaging. After evaluating many green materials, the company chose a biodegradeable, compostable, sugar cane-based tray. The carton is made of a clay-coated paperboard from Strathcona Paper LP (www.strathconapaper.com), Toronto. The paperboard, called GreenChoice 100, is manufactured from 100 percent post-use recycled waste paper fibers and is fully recyclable. In addition, all the energy used to manufacture the paperboard is offset with clean, renewable energy. Both the tray and carton are EcoLogo-certified through Environment Canada’s Environmental Choice Program. The certification attests to the biodegradeability and overall ecological soundness of the materials and also certifies the tray is microwavable and ovenable. The cartons, which are printed using eco-friendly soy inks and aqueous coatings, include a text box on the back panel that highlights the environmentally friendly packaging materials. Brand Engine (www.brandengine.com), Sausalito, Calif., designed the package graphics. To green up even more, Plum is looking for a biodegradeable film to replace the conventional film currently used to seal the Kids Meals trays. In addition, the company plans to switch its frozen baby food cartons over to the GreenChoice 100 board. Controlling the temperature of frozen foods throughout distribution is essential to protect product quality, but temperatures can fluctuate a great deal during shipping. To give processors and their customers a view into the ups and downs, PakSense (www.paksense.com), Boise, Idaho, has developed a device that digitally monitors and records temperatures throughout the cold chain. Called the PakSense Ultra Contact Label, the device can be attached to a case or pallet — or to the inside of a truck or rail car. The label can be programmed with temperatures suited to refrigerated or frozen products. The company’s standard frozen-food label is programmed with a temperature range of -10°F to +20°F. The label can be programmed with a visual alert system; with this option, lights on the label blink if temperatures exceed the programmed range. The label’s recording function creates a record of the temperature history during distribution that can be helpful in identifying problematic shipping lanes or carriers. And the used labels can be archived for use in the event of a recall or audit. The label is the size of a sugar packet and is encased in waterproof, food-safe material. To activate the label, the user simply snaps its corner.